[A] What is the most visited Hawaiian Island? [Q] What is the most visited Hawaiian Island? 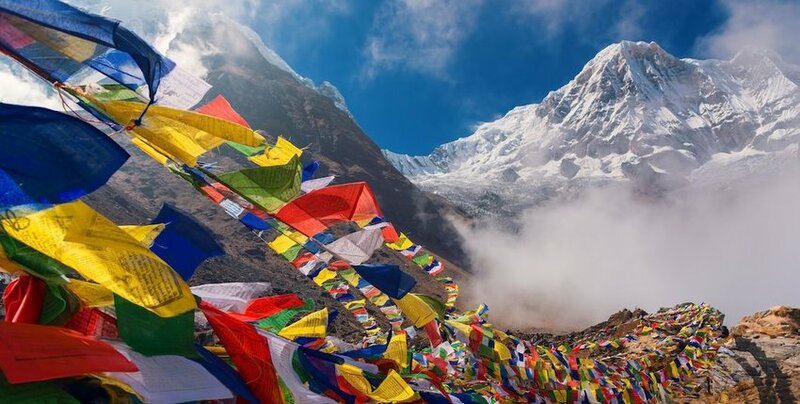 You might think the mountains wherever you live are tall, but unless you live in the Himalayas, chances are they are dwarfed by the tallest mountains in the world. We're talking heights where you might as well be closer to space than you are to sea level. Whether you're a seasoned mountaineer or just want to admire the majesty of these mountains from afar, you'll almost assuredly be in awe of these sky-piercing peaks. Despite being the shortest mountain on this list, at 8,091 meters (26,545 feet), Annapurna is still quite tall. 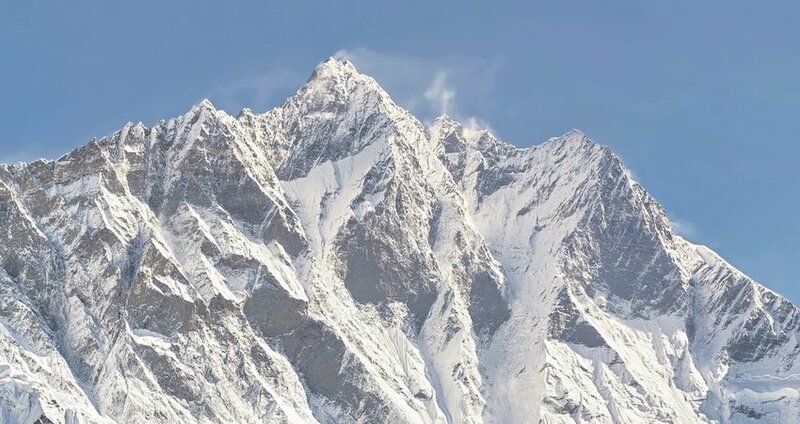 It's worth pointing out that we're technically talking about Annapurna I, which is the highest peak on the Annapurna massif, which consists of many mountains, 30 of them higher than 6,000 meters. Located in Nepal and initially summited by an expedition led by Maurice Herzog and Louis Lachenal in 1950, Annapurna remains a challenging and dangerous climb. The fatality-to-summit ratio is a staggering 32 percent, meaning this one is better left for experienced mountaineers. Just a little taller than Annapurna at 8,125 meters (26,657 feet), Nanga Parbat is another dangerous mountain. One of the mountain's many nicknames is the "Killer Mountain," which helps to give an indication of just how dangerous the mountain is for climbers. 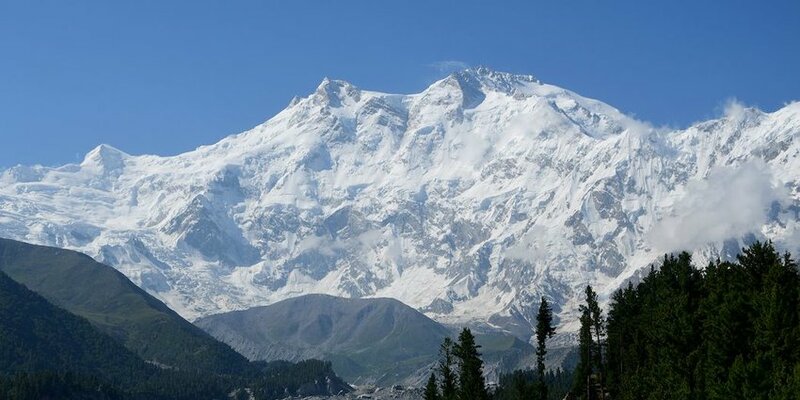 Located in the far western Himalayas, and the furthest west of all the world's mountains over 8,000 meters, Nanga Parbat is an impressive mountain for many reasons. Just one of these is the mountain's Rupal Face, which is located on its southern side and reaches 4,600 meters (15,000 feet) from top to bottom. That's quite the fall. 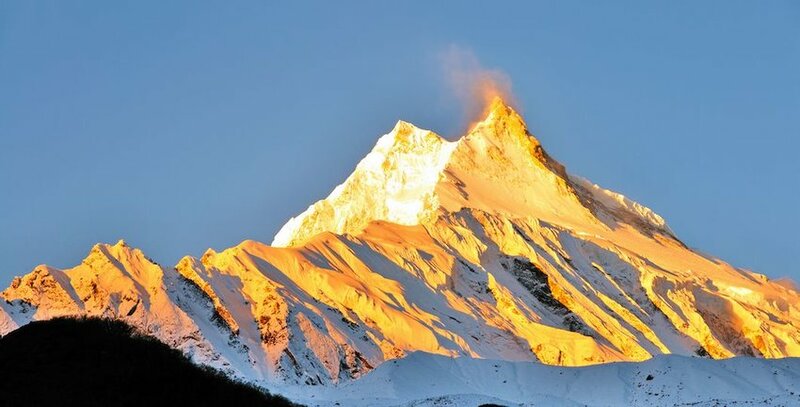 Though it is located in Nepal, Manaslu is an important mountain in Japanese mountaineering history, as it was first summited in 1956 by Japanese climber Toshio Imanishi, who was traveling with Nepalese Sherpa Gyalzen Norbu. That's quite the feat since the mountain reaches 8,163 meters (26,781 feet) above sea level. Located about 40 miles east of Annapurna, Manaslu is one of the highest mountains in its area, known as the Gorkha District. As with a few mountains on this list, Dhaulagiri was at one time thought of as the highest mountain in the world until taller peaks were discovered. 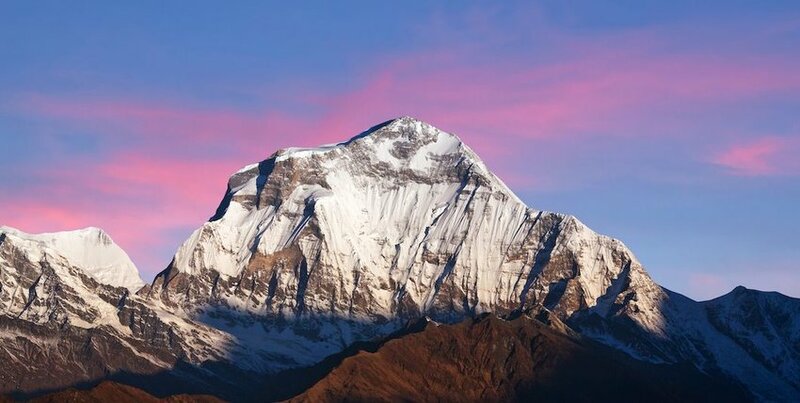 In the case of the 8,167 meters (26,795 feet) Dhaulagiri, it held this distinction from 1808 until 1838. Despite its one-time title of tallest mountain in the world, no one had reached Dhaulagiri's summit until 1960. A joint Swiss/Austrian/Nepali expedition was the first to reach the top of the mountain. If you're looking to hike one of the highest mountains in the world, Cho Oyu might be a good choice for the first one to tackle. Despite its height of 8,188 meters (26,864 feet), Cho Oyu is known as one of the easiest mountains above 8,000 meters to hike. This is due to its general easy accessibility and comparably moderate slopes. Not that it will be a walk in the park. Despite being likely the easiest mountain on this list to climb, it wasn't until 1954 that a party first summited the Cho Oyu. The party consisted of Austrians Joseph Jöchler and Herbert Tichy as well as the Nepalese Pasang Dawa Lama. Despite being right next to Cho Oyu on this list, Makalu represents a significant jump in height, coming in at 8,485 meters (27,838 feet), making it nearly 1,000 feet taller. That's not the only massive jump between the two mountains either. While Cho Oyu is considered a relatively easy climb, Makalu is considered one of the more difficult climbs on this list due to its isolated location and precarious ridges. This is another mountain that was only summited for the first time relatively recently. While the first attempt was made to reach the top of the mountain in 1954, the first group to reach the summit was a French expedition led by Jean Franco in 1955. Like many of the mountains on this list, the 8,516 meter (27,940 foot) Lhotse was first summited in the 1950s. Specifically, it was summited by a Swiss team led by Ernst Reiss and Fritz Luchsinger in 1956. That's not the end of Lhotse's saga, however. While the main summit was reached in 1956, another peak on the mountain, Lhotse Middle, remained the highest unclimbed point on earth until 2001. This summit was first climbed by Russians Eugeny Vinogradsky, Sergei Timofeev, Alexei Bolotov and Petr Kuznetsov. Like Dhaulagiri before it, Kangchenjunga was once believed to be the highest mountain on earth. 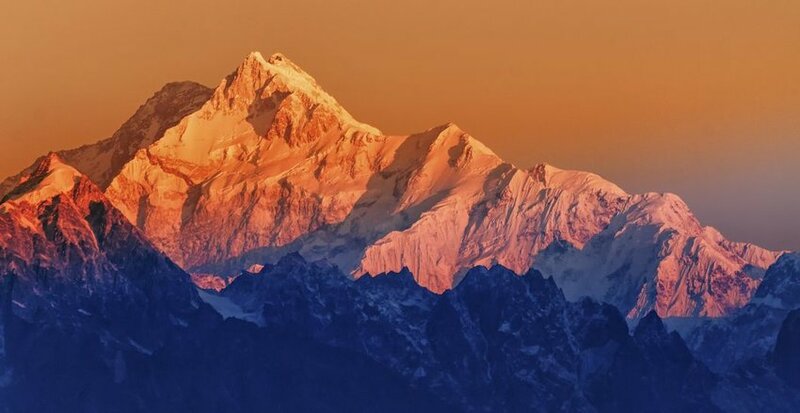 The 8,586 meters (28,169 foot) Kangchenjunga inherited this title in 1838 and held on to it until 1852 when the actual tallest mountain on earth was discovered. Despite its early discovery, Kangchenjunga remains one of the least explored mountains on this list. This is mainly due to its isolated location in Nepal and the difficulty reaching it from India. The second-highest peak in the world is perhaps just as famous as the world's tallest mountain, and it is arguably more notorious. K2 comes in at 8,611 meters (28,251 feet). 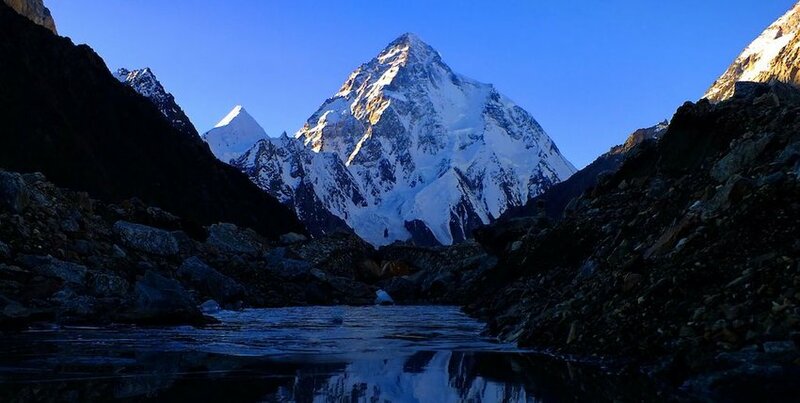 K2 is also known as Mount Godwin-Austen in honor of Henry Godwin-Austen, who was a notable explorer of the area. Italians Achille Compagnoni and Lino Lacedelli were the first to make it to the summit of K2 in 1954, but history is still being made on the mountain. In 2018 the first full ski descent of K2 was made by Polish mountaineer Andrzej Bargiel. The tallest mountain in the world shouldn't come as a surprise since Mount Everest is well-known for being, well, the tallest mountain in the world. Many of the other mountains on this list literally sit in Everest's shadow, depending on the time of the day. 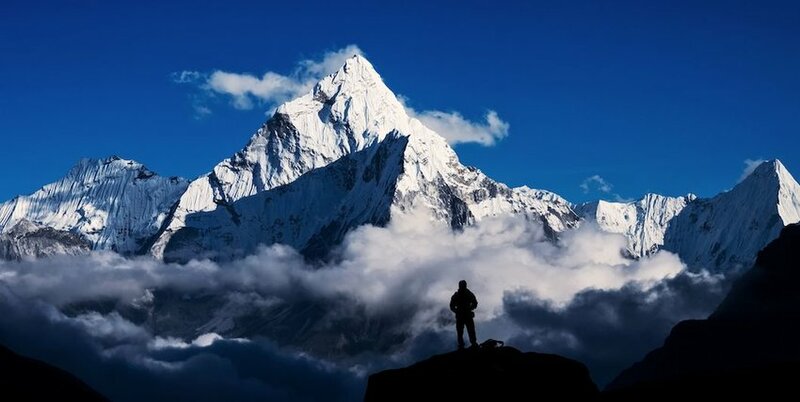 China and Nepal have long disagreed over the actual height of the mountain, but in 2010, the two decided to settle on 8,848 meters (29,029 feet). That's not all that far off from the cruising height of an airplane. For a variety of reasons, nobody summited Everest in 2015, but most other years see hundreds of people reaching the titan's summit. The mountain draws more than just mountaineers as well. People travel to the mountain for a variety of reasons including snowboarding, skiing, paragliding and BASE jumping.